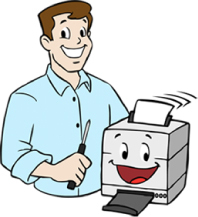 Give us a call when you need toner, printers, or printer parts. We are the printer experts! We’ve helped thousands of people from all over the U.S. repair their printers, and we want to share some of the feedback we’ve received over the past several years. I spoke to Steve, Jeff and others on many occasions before and after purchase. These guys are in business to stay. They are knowledgeable of their products, cordial, friendly, willing to help and not trying to get a quick sale. The price is good, the product is good and the service is good. To me, that spells EXCELLENCE. They have my business and others. I would like to say that out of all the refurbished and gently used HP 4350n units that I just purchased (I bought 8 total), your staff was the most professional, the printer was by far the best and newest looking, it was the most expertly packed, and therefore also the best deal. I will certainly be looking to you again for future orders. 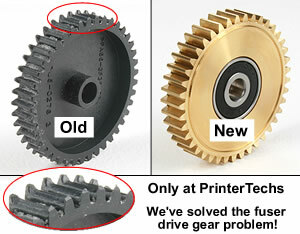 Finally, a definitive solution for the swing plate problem in HP's 4200, 4300, 4250, 4350 series printers! After almost a year of research and testing we have created a precision engineered gear with bearing, made right here in the USA. 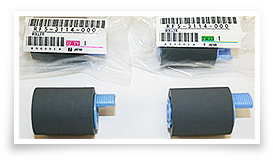 This is an industry first and the only long term solution to fix the problematic swing plate issue inherent in the 42x0 and 43x0 series LaserJets. Read more about our innovations. 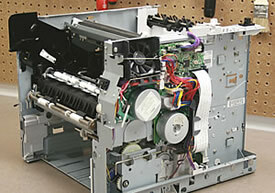 . .
PrinterTechs.com has the Internet's largest library of printer repair instructions and tutorials. Also, when you buy your toner and parts from us you get free technical support -- you won’t find that at office supplies mega-stores! When we rebuild a printer, we REALLY rebuild it! Learn about our industry leading refurbishing process.